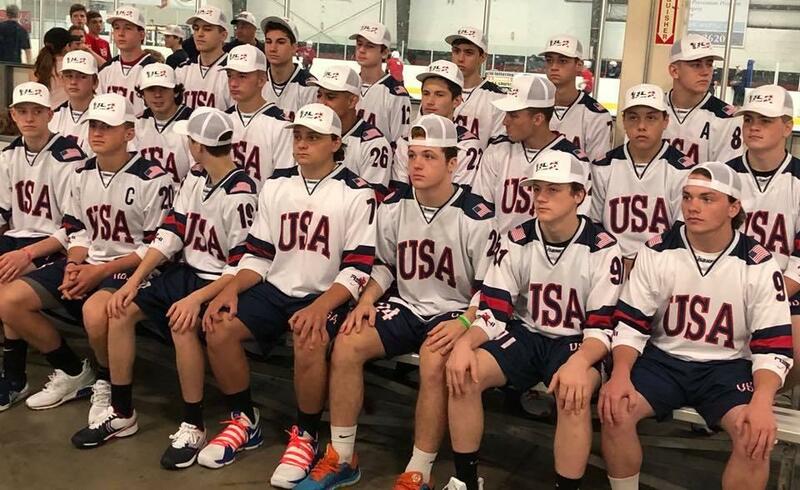 Six local players are representing the United States at the 2018 International Street and Ball Hockey Federation under-16 Ball Hockey World Cup in Zlin, Czech Republic. Local players Tyler Andrews, Victoria Biagetti, Zach Blair, Taras Chernetsky, Danny Cunninghan, Dante Douglas, Dominic Leonard, Harrison Litzinger, Anthony Migliozzi, Kyle Nolan, Vincent Pacheco, Roman Rennebeck and Nathan Salinetro were all selected for teams that started the tournament on Thursday. The players are all representatives of Team Pittsburgh and Penn Hills Arsenal, local ball hockey (also called dek hockey) teams that play at Marmaduke Park in Brighton Heights and at Greater Pitt Dek Hockey in Penn Hills. Seven players on the USA Red team in the tournament. Cunningham recorded an assist as they beat Canada East on Thursday, 2-0. In a Great Britain, 7-1 on Friday, Cunningham scored twice, Rennebeck had a goal and two assists, Chernetskiy scored a goal, Blair had two assists and Migliozzi had an assist. On Saturday, Migliozzi scored the game-winning goal in a 2-1 victory over Slovenia and Leonard scored while Chernetskiy, Cunningham and Migliozzi added assists in a 5-2 win over the Czech Republic. The rest of the players are on the USA Blue team. They lost to Canada West, 7-0 and beat Poland, 5-1 on Thursday. Douglas had a goal and an assist and Andrews and Litzinger had assists. On Friday, they lost, 7-0 to the Czech Republic, and on Saturday, they beat Switzerland, 2-1. Litzinger and Swanson assisted on the game-winning goal in that contest. The under-18 and under-20 championships will be held in St. John’s, Newfoundland next week. The masters championships will be held Sept. 26 – 30 in Bermuda.